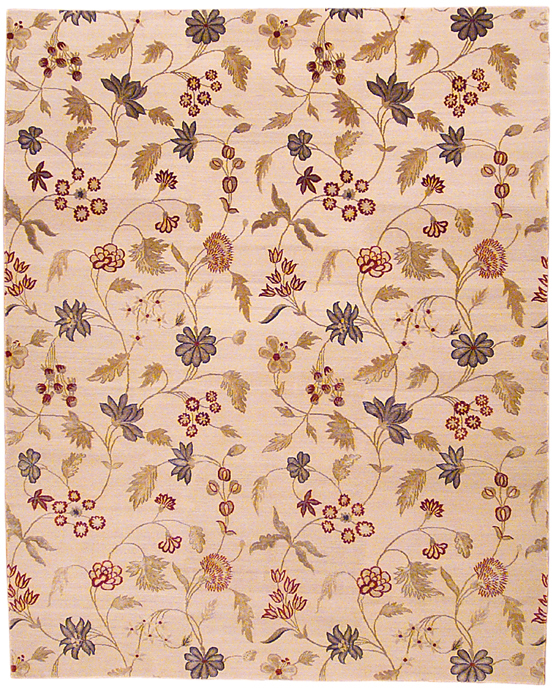 Jaipur’s all-over floral pattern is inspired by textile designs from the Mogul Period of India. Expertly handwoven of Tibetan wool with 150 knots per square inch. Crimson, blue-gray and gold floral elements appear on a Glacier field. Also available in Malt and custom colorways. 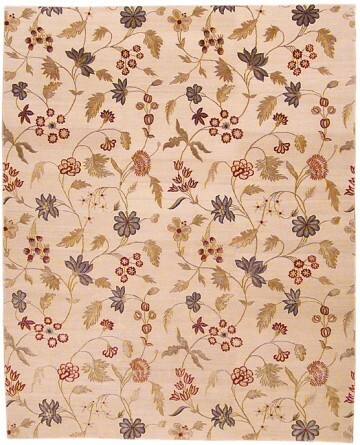 This fine Lapchĭ transitional rug offers the harmony to bring together different pieces in a room.